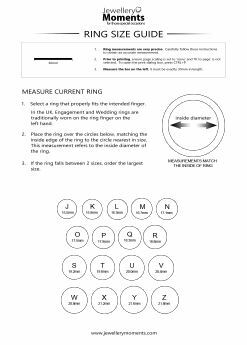 Borrow one of your significant other’s rings (from the correct finger) and use our downloadable guide below to determine its size. Print out this easy to use guide and place the ring over the circles, matching the inside edge of the ring to the circle nearest in size. If the ring falls between 2 sizes, order the largest.